Death By Die: Enter: Da Grot Webellyun! Many moons ago on a wintery club night, greenskins clashed with orangeskins, shouting and bad grammar was expelled from mouths and strange vehicles arrayed on the table. And threats. Lots of threats. 'I'm having that trukk' being a common one. Bam, Louis and Owain played a few games of Gorkamorka, and its always been a game thats intrigued me. Growing up, I played Blood Bowl, Necromunda, Warhammer Quest, then had a gap and gradually got into 40k. Now however has been a great time to try Gorkamorka. For £40.50, you can get yourself a box of boys and a trukk to ravage to make into a mob. Only, I fancied something different. The Diggas looked appealing. 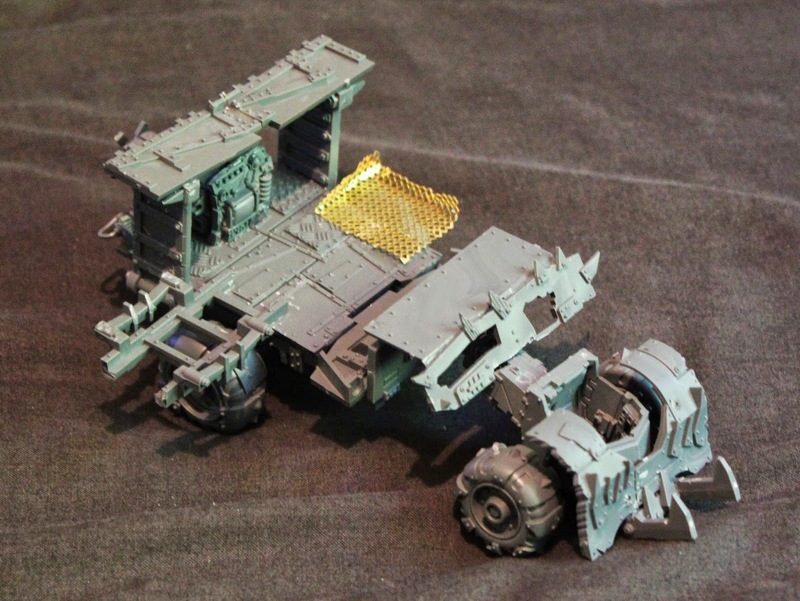 Where orks love to copy the Imperium with its vehicles and camo designs, the Diggas copied the orks in Gorkamorka. Nice twist... but not me. 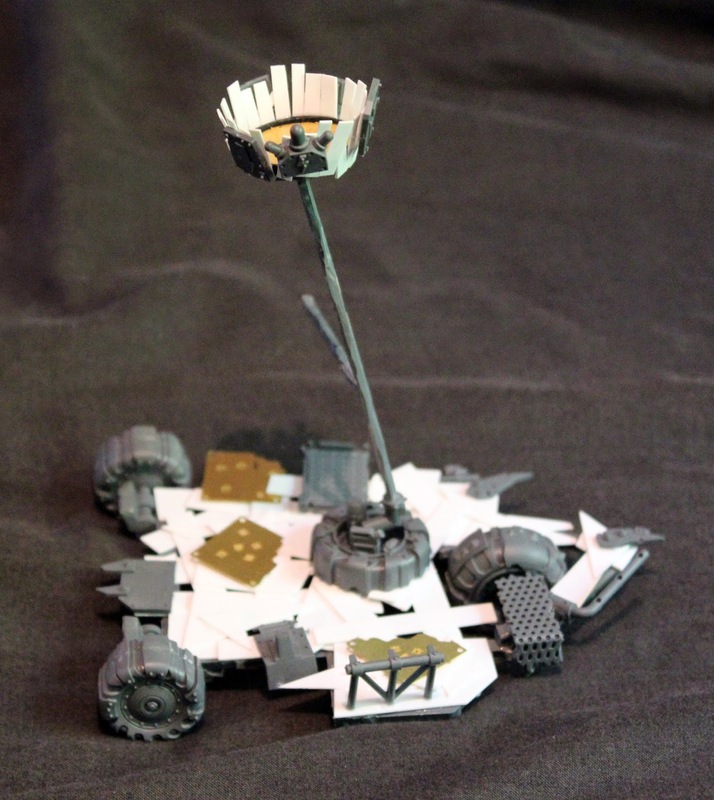 Muties... Another interesting group, but converting models for it seemed difficult, and I want crude vehicles to build. Then I felt something gnawing my ankle. I looked down, and there were the grots. I looked over the rules, and could see that although weak, they could gang up and outnumber their bigger cousins and their vehicles, while haphazard, could potentially be incredibly fast. Instantly though I knew I had to do grots. Winning games would be hard, but in my mind I want those hilarious moments and bringing down the occasional ork. Objectives in mind, how to build my mob! 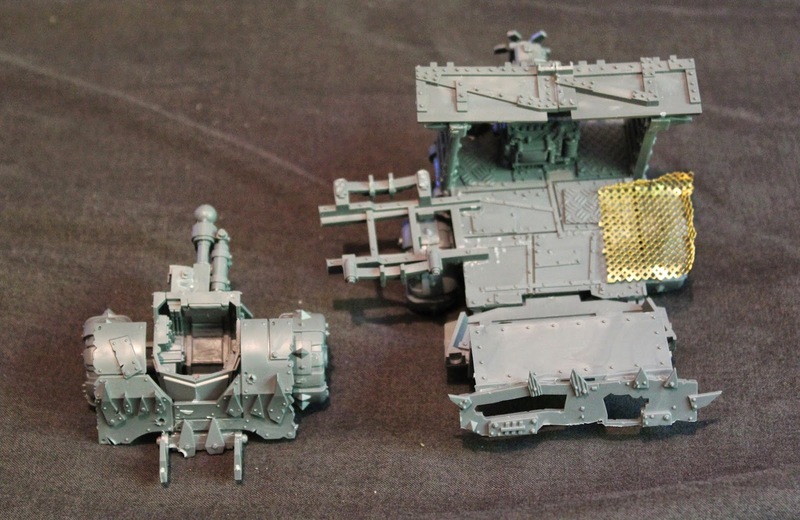 With the latest Ork releases I knew that getting one of the mek guns would offer me countless bits to play with, an ork trukk would provide the basic chassis for a lugga and two boxes of grots would give me plenty of bodies. First thing to build, the cutta. Heres how she looks, and I'm happy with the result. The frame was from two bits of sprue, as was the mast which was carved down to make it look like beaten metal or wood, either of which I'll paint it as. 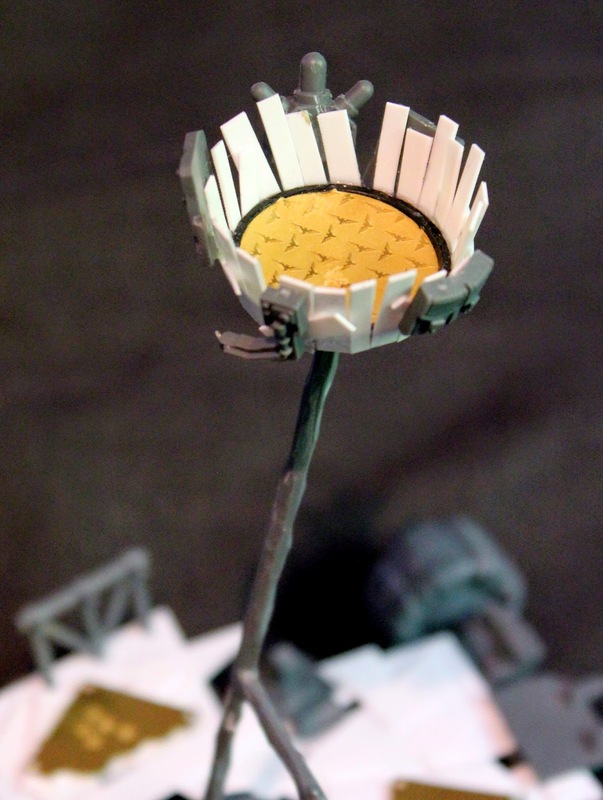 The crows nest was made from a base with a circular piece of flooring from a citadel basing kit, and then built up using pieces of plasticard and other such gubbinz as I could find! I found the easiest way to attach the mast was to use part of an axle and a wheel, it was a natural fitting and looked salvaged enough to fit in with the feel. 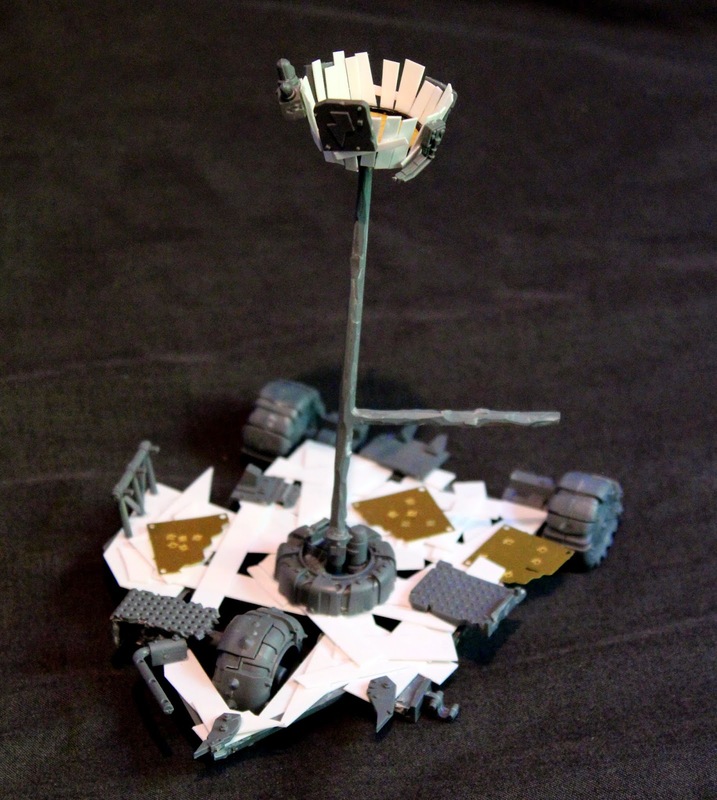 Using a base for the crows nest means fitting a grot on top isn't a problem, and I have a grot with binoculars from the mek gun kit that suits it well. I've yet to make a sail or decide on what I want to paint on it, although crude GRC graffiti is tempting! Three WIP grots, the longer gun grots I'm using as snots as I've armed them with blunderbusses. Very happy with how they're coming along! This is the lugga. Its not finished yet, but the basic shape is there and I'm sort of happy with it. Still needs more work, and I need to add some bits to make it a little more sturdy. 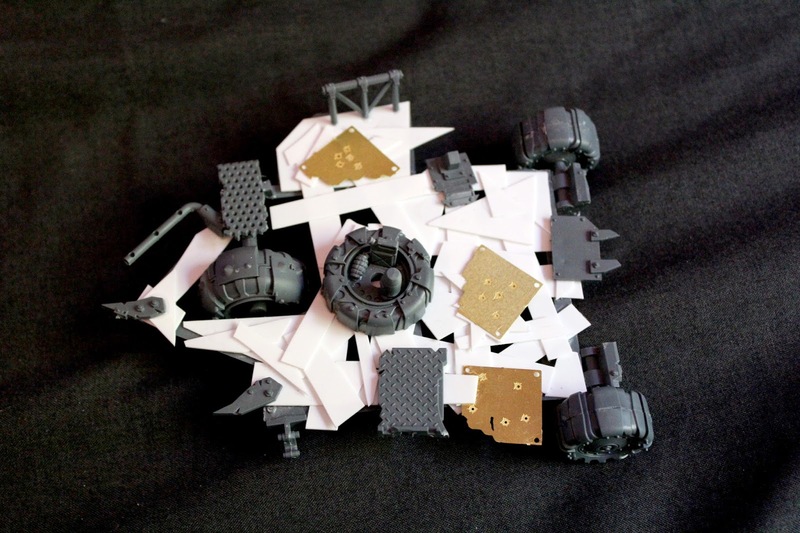 The front cab is based around the hull of a sentinel, and I've used a leg to attach it to the back body of the lugga. Most of the other grots have been based green so I'll slowly work on this over the coming weeks when I'm able too, and I may undercoat the cutta soon as its finished and ready. I've even managed to fit a game in too, a four way between three mobs of orks and my grots. I've gained myself seven teef, and +1 bs for one grot although a couple were killed and Bam stole a few too! Swine, although I did gang up on his Nob and take him down! Looking forward to the next game, the fourway was a little chaotic so I think some 1v1 games are in order next. I'll post more updates when I can along with some other planned posts I have! Before I end this post, I'm looking for mob name suggestions! Send a comment and I'll see if any take my attention. Cheers for now though! This is awesome! Consider your blog subscribed to! Very cool. Gorkamorka has had a major resurgence at our club as well. Look forward to more tales of the grots. I've played muties and diggas but never had the courage to launch a rebellion. Best of luck!